On this Sunday, right on the heels of The Feast of the Epiphany we find ourselves at the Jordan River remembering The Baptism of the Lord. We recall how he insisted that John take him into those waters. We hear again that voice from heaven as he rose up from his transitory burial, ”This is my beloved Son with whom I am well pleased,” (Matthew 3:17) We remember that the Spirit descended and rested upon him like a dove, and then within days drove him out into the wilderness beyond Jordan. There he fasted for forty days and nights. The evangelists speak of that time as His Temptation in the Wilderness. Many biblical scholars speak of it as a time of spiritual discernment as to the nature of his mission. It was clearly a time of spiritual wrestling, marked by a deepening awareness of his identity as the Servant of God, The Anointed One who would announce good tidings and publish peace, saying to Zion, “Your God reigns”. (Isaiah 52:7) From those days in the wilderness, he would come in the power of the Spirit into Galilee proclaiming the gospel of the kingdom of God, teaching the people in their synagogues and healing the sick among them. So began his public ministry. As we celebrate Our Lord’s Baptism we recall our own. We are reminded of who we are, the Beloved of God in Christ and what our work is in our own communities and in the world. It is an opportunity at the very outset of a new year to reaffirm our commitments to the many ministries that accompany our vows in baptism. Sometimes those commitments take the form of continuing work in just the same way we have done it for many years albeit with renewed vigor and spirit. Sometimes they take the form of deepening clarity with respect to the charism and skill needed to enhance a particular ministry, its reach and impact. Sometimes they take the form of a concerted effort in drawing others into an emerging ministry, one for which we know they have gifts, and encouraging them in their participation. Sometimes those commitments take the form of thoughtful and prayerful discernment with respect to making way for new leadership. In 2017, I marked 40 years in ordained ministry and 40 years of marriage with my dear Lynne. For 23 of those 40 years I have served our Church as a bishop, and for 10 of those 23 as Primate. As you well know this was not an office to which I aspired. 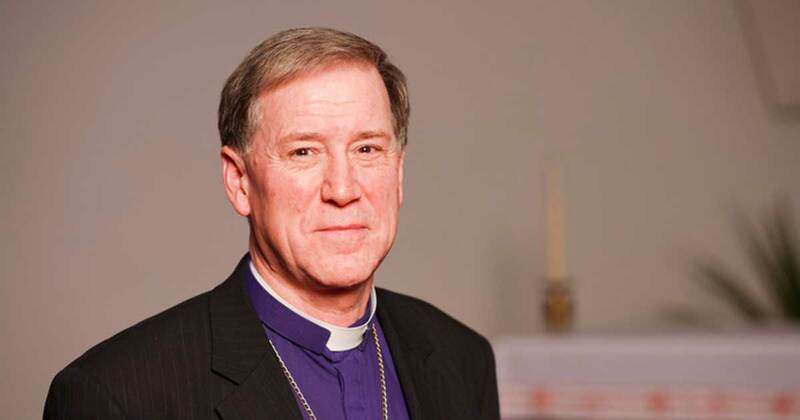 Nonetheless I have endeavoured to fulfil the duties required of me in the best interests of our Church and its commitment to God’s mission in Canada and as a loyal partner in the life and witness of the worldwide Anglican Communion. It has been an enormous privilege and a great adventure with blessings beyond number. This year on December 3rd, I will God willing reach the age of 65. I think that is probably no secret in our Church! And in the natural order of discourse around such milestones, questions arise with respect to one’s intentions about retirement. I believe it is incumbent upon me to help move us all beyond whispered speculations to clarity about my intentions. Allow me just a few minutes to bare but a bit of my soul concerning my discernment. At some length, I have considered how much longer I should remain in office. In all honesty, there are days when I wonder if I might not be coming very close to the “best before” date in the leadership I am providing. Time and again, I have examined the scenarios for which Canon III on The Primate makes provision with respect to resignation. I have experienced more than a few restless nights. I have tried to abide by St Paul’s counsel not to be anxious but prayerful (Philippians 2:6) I have prayed and I have quietly asked a few others to uphold me in their prayers through this time of discernment. For their pledge to do so I am enormously grateful. I confess too that out of a deep and abiding love for our Church I have in these last several months felt more than a little sense of solemn obligation to see General Synod through the next round of conversations over a few very significant matters. I think of how we begin to move beyond Vision 2019. I think of the second reading of the amendment to the Marriage Canon. I think of the next steps we will be taking to honour the dream of a truly Indigenous Church within The Anglican Church of Canada. I think of the desire deep in the soul of our Church for making a faithful response to the Calls to Action from Canada’s Truth and Reconciliation Commission grounded in the UN Declaration on The Rights of Indigenous Peoples. I think of the emerging nature of global partnerships, orientated not only around fellowship and mutual encouragement in our witness to the Gospel but also solidarity in addressing massive global issues as horrific as human trafficking and as critical as climate change. For the decision I have made I ask your understanding and respect. In the work we still have to do together I ask your patience and perseverance. Know that I remain ever grateful for your prayers and for the multitude of ways in which you have and continue to support me in my ministry. Know that my prayers for our beloved Church are very much in accord with the affection with which St Paul held the Church in Philippi.